We’ve all been to elaborate birthday parties. The ones that make us feel as though we aren’t doing enough for our children. Do you feel pressure to do just as much or do you feel as though you aren’t doing enough? Where does the pressure come from to do big parties? I love celebrating my kids with their friends. I love a small part of the day all focused on the excitement of my child. It’s fun to see them doing what they love with their friends and see all their friends in one place celebrating them. But I also struggle with the cost of these parties and the reality that none of our children need all of the gifts they receive. We all do it; it’s a cycle. We all bring gifts — even to the parties that remind us that gifts aren’t necessary. No one goes empty handed and most of the time we end up with doubles. We all appreciate the generosity and we take the time to use it as a teaching experience for our children to show appreciation. Five thank-yous a day, right? But, if you skip all of that — no party, small family celebration — does it make you a bad parent? Does it rob our children of a piece of childhood? 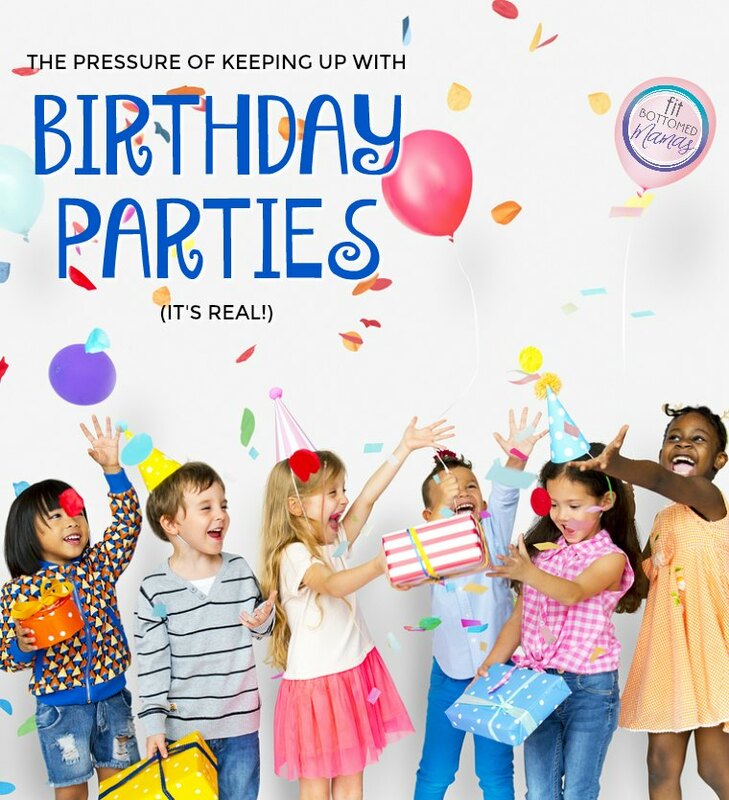 How do we let a birthday pass without the big hurrah with a room full of kids? What happens if you and your spouse don’t share those same beliefs? What if one believes in the large celebrations and the other doesn’t? Sure, these parties get out of hand. The costs are inflated, always, but is there a price tag for those memories? @Jennifer, Thank you for posing all the questions you have in this post. I see and hear the pressure amongst some of my family members. Fortunately, my husband and I share the same beliefs and wants when it comes to birthdays. Our children (5 and 2) have not had a birthday party from us yet. I say from us because my in-laws have done a couple for our 5-year-old, but nothing huge or elaborate. What we’ve unintentionally made a tradition in our household is to make a birthday cake with our kids the night before their birthday. Our kids get to choose the theme, we look up different designs, and figure out how to make it happen … with the birthday boy or girl’s help. My 5-year-old loves this tradition and looks forward to it every year.